A video game user plays XBOX. Picture the average video gamer today. Who do you see? Is it a put-together professional with a family and outside interests who games for fun? Or is it a middle-aged man glued to a computer screen sucking Cheeto dust from his fingers in a dark corner of a basement? 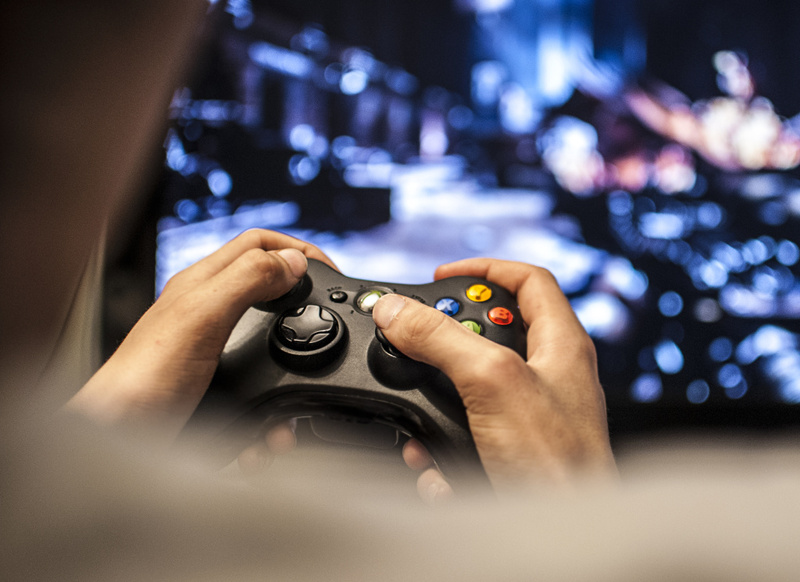 In the past, the latter has been the stereotypical image of the average gamer – introverted, quiet, eschewing outside contact with real people in lieu of virtual stories and characters. But in today’s online world, gaming has taken on a much more social identity. Early were the single-player, story-driven games you’d play yourself (think Zelda or Super Mario Brothers)... or if they did have multiplayer modes, you’d need a friend in the room with you. Today, thanks to the rise of the internet combined with the popularity of well-known massively multiplayer online (MMO) games like World of Warcraft, Minecraft, Rocket League and League of Legends – and more recently , Fortnite and Playerunknown's Battlegrounds, both battle-royale style games in which up to 100 players are dropped onto a map with limited weapons and resources, last player standing wins – gaming relationships can be created and built across countries or even continents. Competitors turn into clans (gamer-speak for a group of people who you likely don’t know personally but regularly game with online) and clan members turn into real friends. This focus by many developers to make games that create communities has helped pave the way for gamers to literally and figuratively come out of their caves, and for gaming itself to be regarded as a social activity instead of an escapist hobby for the antisocial. It also doesn’t hurt that organized e-sports have seen a meteoric rise in popularity with the development of professional leagues and even college teams for gamers, or that watching others game via live stream is now insanely popular on platforms like YouTube and Twitch. How do you see gaming as a social activity? What are your experiences creating and building relationships through games? If you’ve been a gamer for a while, what’s your take on the “myth of the lonely gamer” and how it has changed over the years? Los Alamitos wants out of California’s sanctuary state movement – what are the legal repercussions?